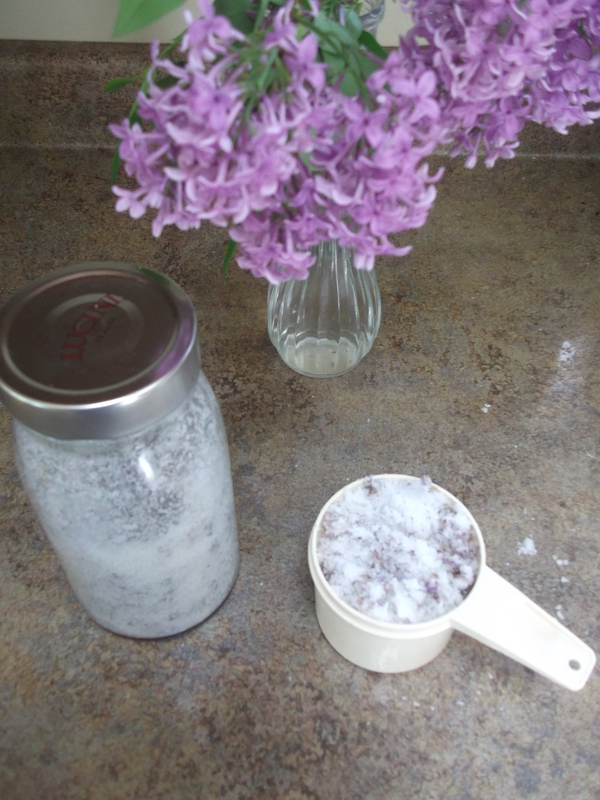 Here’s an easy way to make a lilac scented sugar that can be used just like regular sugar in recipes, drinks, etc. Take a loose handful of lilac blossoms and place them in a large jar. Fill the jar about 1/3 full with sugar. Add another handful of petals, and again, top that layer with sugar. Repeat until the jar is nearly full, and add one last layer of petals. Place the cap on the jar and shake well to distribute. 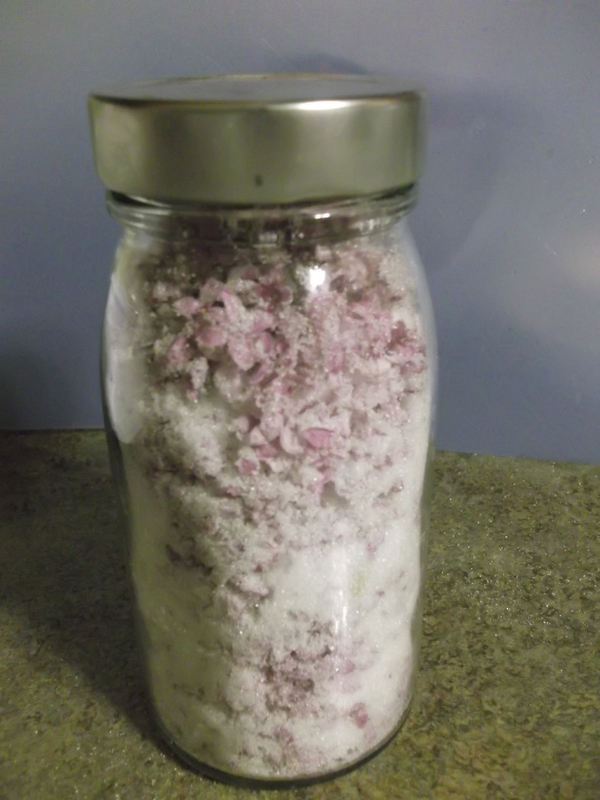 I left my jar capped overnight, and the next morning the sugar smelled lovely but was a bit damp and clumpy. Next time I might leave it in a bowl instead, especially if I need to use a colander to separate the lilacs from the sugar in order to use it. To use the sugar, place the some in a colander and shake gently to separate the sugar from the petals. Measure out the sifted sugar and use as you normally would. Or, use the sugar along with the petals for a little extra color and flavor. Enjoy!